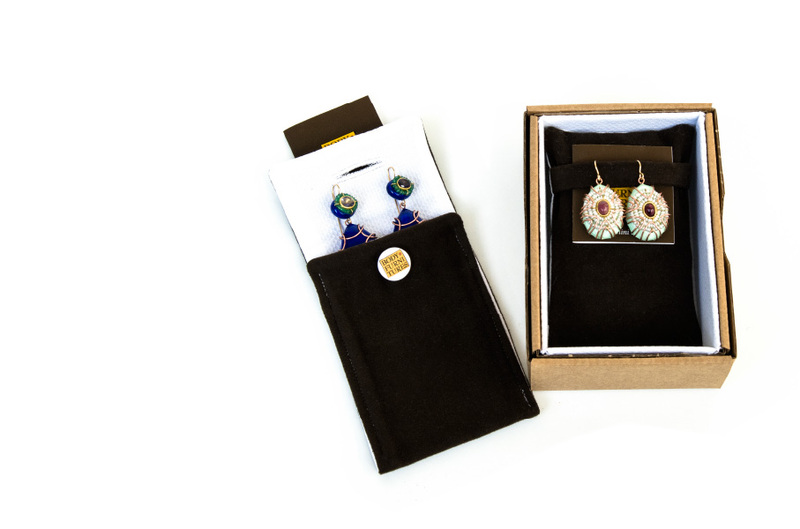 Keep your jewelry in its original packaging to protect it from scratches and abrasions. Avoid contact with aggressive materials and chemicals and do not drop, bash or scratch in order to prevent damage to the enamel or outer shell. Avoid contact with water or liquids. Do not wear your jewelry in the shower or bath, at the spa, in swimming pools or during sports. Perfumes, hairspray, lotions and cosmetics may damage the enamel, dull the gems and dissolve the gold leaf. Exposure to temperature swings, excessively low temperatures and humidity may cause the papier mâché to shrink, break or tear, compromise the integrity of a piece of jewelry and possibly damage delicate gems. Please clean your jewelry using a clean soft and dry brush. The natural wear of the gold leaf and the oxidation of certain elements are part of each piece’s creative process.